Are you ready to live a happier life? Studies show college graduates are healthier and happier than those who don’t attend. A big part of their overall happiness comes from their fulfilling career paths. After graduation, you'll have a 24% increased chance of finding employment in a field you love. Imagine, doing something you love, having a great income, and making your dreams come true. Every day employers go through countless applications, in search of new team members. Having the right college minor to complement your major, means your resume will go to the top of the list. Read on to learn more about how to pick the right academic minor for the best college experience. A college minor is a group of courses you’ll take to compliment your major. The courses don’t have to relate to your major, yet when they do it’ll help you enhance your degree. Minors are specific and specialize in one area of study. The short series of related classes usually will take 1 to 2 semesters to complete. The minor coursework will need fewer classes than your major does. Participating in minor courses will help provide you with a well-rounded education. Employers are also happy to see you've gone above and beyond in your field of study. One of the most exciting aspects is exploring something new. It's possible, you'll find a new area of interest while getting your minor. If you end up loving your minor as much as your major you could earn a second degree. The courses in your minor will add to what you’re already learning and set a foundation for the second degree. If you don’t want a second degree, the minor could help you add an extra major. Now that you know more about how a minor works, let’s explore fitting it into your schedule. What is your college lifestyle like? Are you working while attending school, or taking care of a family? You have to be honest with yourself when taking on more classes. Before you begin signing up for minor coursework, find out how much free time you actually have. Spend a few minutes and write down how many hours a week you have available for new classes. Remember, you have to account for the time you’ll spend in class, as well the time you’ll need to complete homework. Most colleges define full-time students as those taking 12 credits a semester. Yet, most degrees usually need 120 credits. That means to graduate within 4 years, you’d need to take at least 15 credits a semester. Will your life allows you to take on extra classes without jeopardizing your major? If you have free time, the next step is determining your area of interests. Next, we’ll look at how to choose your minor based on your passions and current major. What’s your main reason for attending college? If you have a specific career in mind, your minor could help you stand out for potential employers. For example, if you’re getting a degree in marketing, a minor in math could help prepare you for the industry. Or if you’re majoring in international business, a foreign language minor could come in handy. If you're not sure about whether or not your minor will complement your major, try asking these questions. Does this minor add skills to my career path? Is this minor too close to my major? Avoid choosing a minor that's too closely related to your major. You want to use the minor as an opportunity to demonstrate diversity in your educational background. In a competitive job market, certain skills will make it easier to market yourself to employers. The right class means landing the right job. Did you know there are 6 classes that make you more employable? Does your current major already cover the 6 classes above? If not, consider getting a minor that will include at least 3 of those core classes. If you have an idea of the field you want to work in, talk to an expert in the field. Ask them about what skills they're looking for in the industry, and if they have any personal advice. Leadership skills are also highly sought after by companies. Consider using your academic minor as a chance to learn new ways to lead. You'll be able to facilitate your own personal growth while learning how to help others. Having a major doesn’t mean you have to forget about all of your other interests. If you are passionate about a subject like photography or creative writing, explore those areas with a minor. While they may not compliment your major, it’ll help give you the comprehensive college experience you deserve. It’s okay to take classes for enjoyment rather than purely career advancement. What types of college minors are your fellow students choosing? Having conversations about college plans with your peers can help broaden your horizon. 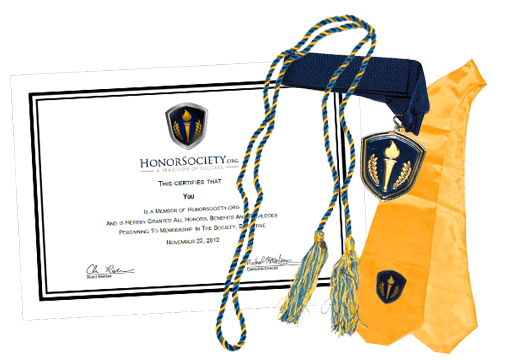 Honor Society’s goal-oriented network gives students a platform to network with other ambitious students. We also provide dozens of member discounts to fit your life. Discounts on things like travel, health plans, dining, Ubers, flowers, textbooks and more! Are you ready to take your future to the next level? Join our society, and get in contact with like-minded, goal driven achievers, from your area and across the country. To join, simply check out our member application.